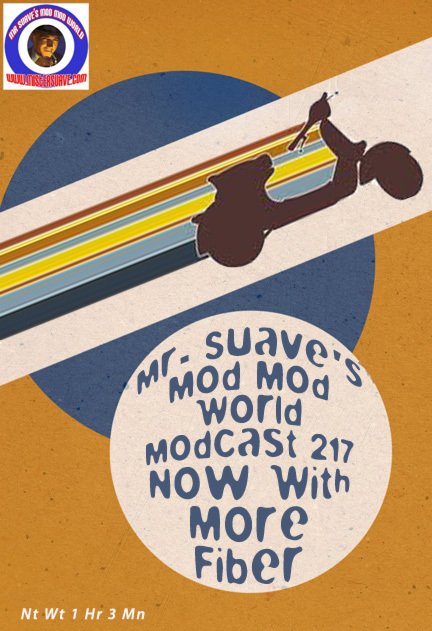 Mr. Suave's Mod Mod World: Modcast #217: Now With More Fiber! How much fiber do you need in your diet? Who the hell cares. What you do need a daily dose of is some cool music and this week's modcast fits the bill. A few sharp blasts from the past, as well as a some more contemporary sounds, all making for a well-rounded show. It starts with a single helping of Sugar Stems, a band I really should have played before now. Including members of the late great all-girl garage rock combo The Flips and The Jetty Boys, the Sugar Stems have a pretty pitch perfect take on sixties influenced power pop. You get a lot of protein power out of Sick Rose -- both old and new, The Candyskins and The Blades. For the main course there's a review of Title Tracks fantastic 2011 release In Blank. You can round it all out with some sweet treats from Sweden, The Tangerines. Who wouldn't want a meal like this everyday?